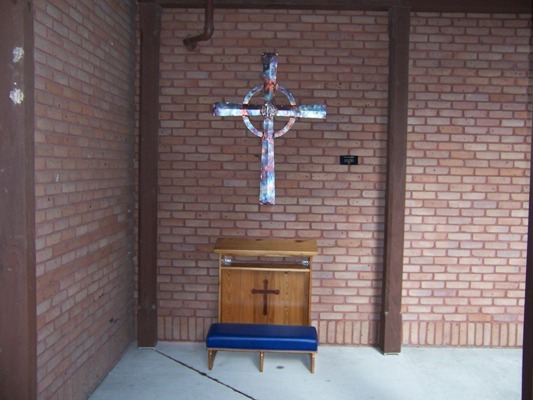 This Cypress Kneeler was a nice addition to the columnburium at Ascension Church in Lafayette. 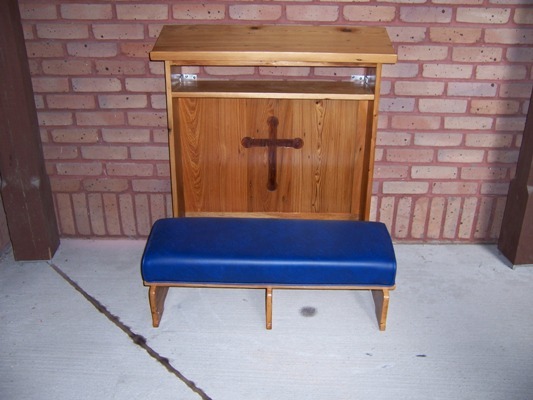 Created in old Louisiana Cypress with an exterior finish and marine grade material on the cushion. 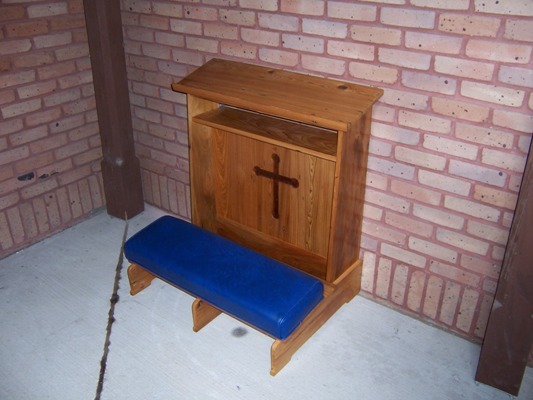 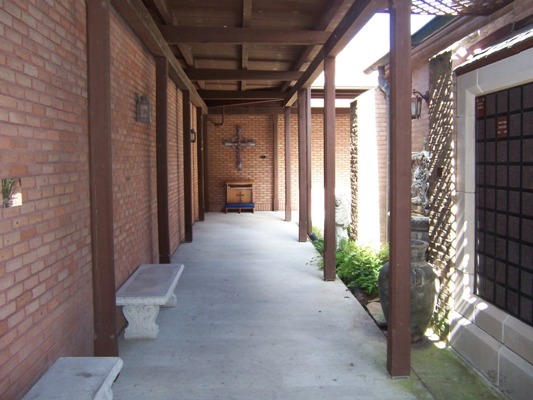 Custom church furniture is available, call for a quote on your church project.